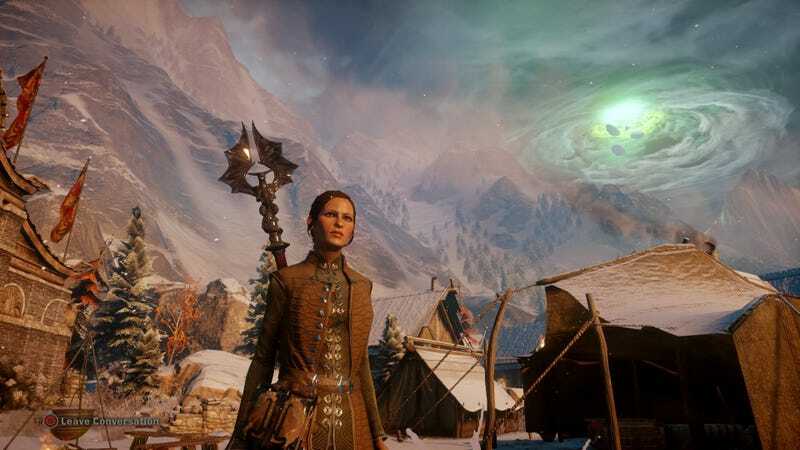 Enough time has passed that I believe most of us ( who are playing, at least) have either finished or are close to finishing our first playthrough of Dragon Age: Inquisition. So it's time, TAY, to reveal your Inquisitor to the world! Warning: I expect this to get pretty spoiler-heavy. So, who is your Inquisitor? What race and class did you choose, and why? What specialization did you eventually go with? How did they feel about the title 'Herald of Andraste'? What were their choices during some of the bigger decision-making scenes? Do you have a regular party you take out with you, or do you rotate your companions in and out of your party? Favorite companion? Least favorite? What is the condition of the world your Inquisitor has left in their wake? Join me in the comments as we discuss this and more, along with my own Inquisitor tell-all! Feel your response can't be contained in a mere comment section? Want to talk about another game entirely but don't have TAY authorship? Write it up and tag your post TAYClassic to have it appear here. Someone should be along soon enough to share your work to the TAY main page, and possibly grant you authorship!